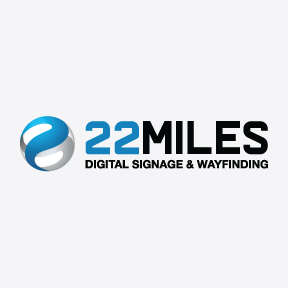 22MILES is a Silicon Valley based company offering you the world’s best digital signage and wayfinding software platform. Off-the-shelf ready, Publisher Pro™ provides your creative department a comprehensive design and management platform that allows DESIGNERS to easily create, schedule and manage digital signage content for static or touchscreen displays, 3D wayfinding, self-servce kiosks, large format video walls and room boards. With Publisher Pro™ designers can easily create and support the requirements of any global brand’s digital signage project, while at the same time, have the ability to offer your clients a variety of standard built-in “premium” features. 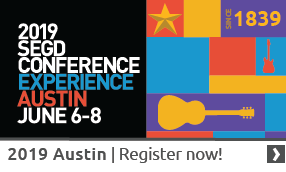 Built-In-Features: VoIP calling with Cisco Jabber, Lync and more, 3D Google Earth, 360 Panoramic Views & more! Drag & Drop Media Widgets – Images, Videos, News & Weather, Flash, Streaming Videos, HTML, PDF files, PPT files, and more! 3rd Party Data Integration –JSON, CSV, SOAP, SQL, XML,HTML, RSS, Outlook, Beacon Tech, Google Drive, NFC and more! Map It Now™ - receive instant turn by turn directions. Smart Pathway™- intelligent algorithm that auto-generates directions based on shortest path and ease of accessibility. 360 Panoramic View™ - pop up window that can display ¬ final destination images. Dynamic Pop Up™ - display a description, video or webpage for any destination. Take your map™ - print, Text or email directions to your mobile device. Construction Pathway Re-Routing™ - smart detour scheduling capabilities. Interactive Property Wayfinding – Integrate property maps for a more accurate and convenient reference point for your audience experience. 3D Mapping -- Enhance any visitor’s experience with a realistic, 360 degree, interactive 3-Dimenstional multi-building, and multifloor representation. Digital Directions -- Visually relieve the directional frustration of visitors, guests and employees throughout any property. Mobile Way¬finder – Scan your embedded QR codes and have directions sent via text, email and as a map or even listed out as text; send multi-destination, multi-building, multi-floor, one-way, and popular locations to any users’ mobile device. View videos of 22Miles’s Exciting New WayTouch Premier Wayfindingand their ‘one-click to publish mobile app’. 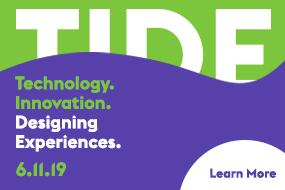 Contact Tomer Mann for more information.